A deadly shark attack on a Cape Cod beach over the weekend is raising safety concerns. A group formed to look at ways to prevent shark related incidents on Cape Cod says swimmers and surfers ignored water closures in the days after a man was killed in a shark attack off Wellfleet. The regional shark working group held its first meeting last week, discussing topics like how to improve cell service at beaches, training and equipping the public with shark bite medical kits, increased education, and various shark detection technologies. Of particular concern to the group "was a number of swimmers and surfers were observed in the water ignoring the water closures following the fatal encounter at Newcomb Hollow Beach in Wellfleet," according to a summary posted by the Atlantic White Shark Conservancy, which hosted the meeting. 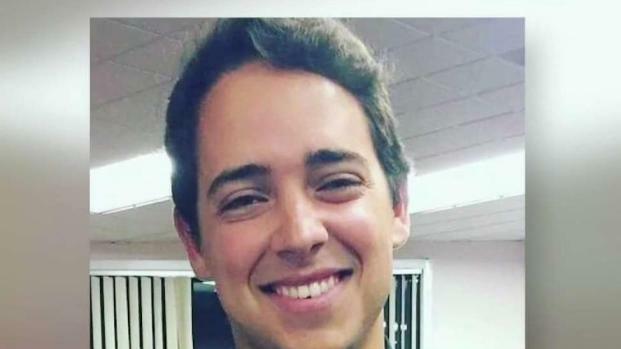 Arthur Medici, 26, of Revere, died after being attacked by a shark while boogie boarding on Sept. 15. He was the state's first fatality from a shark attack in more than 80 years. A month earlier, a 61-year-old New York man was severely injured after fighting off a shark in Truro. He survived and continues to recover from his injuries. There were 53 unprovoked shark attacks in the U.S. in 2017, but none were fatal, according to the International Shark Attack File. On average, there are only six deaths around the world each year from unprovoked shark attacks. There were frequent shark sightings this summer along the outer Cape, often leading to beach closings. The National Park Service, which manages many of the picturesque beaches where white sharks tend to congregate, said it closed beaches for at least an hour about 25 times this year, more than double the annual average. Last week's working group meeting included shark experts from the Massachusetts Division of Marine Fisheries, UMass Darmouth's School for Marine Science & Technology and the University of Florida, along with public safety professionals from the Cape Cod National Seashore and the towns of Chatham, Orleans, Wellfleet, Truro, Provincetown, Eastham, Dennis, Barnstable, Scituate and Plymouth. The meeting was not open to the public. An earlier meeting held last month drew hundreds of people to Wellfleet Elementary School. The shark working group is scheduled to hold its next meeting in the third week of October.